The all-new Transformer Book T100 transforms your mobile lifestyle with a 2-in-1 ultraportable design and an amazing 11 hours battery life that will never tie you down. On one hand, it is a performance notebook with an Intel Atom Bay Trail-T Z3740 Quad Core processor and Microsoft Office 2013 Home & Student preinstalled for great productivity. On the other hand, it is a 10.1" HD touchscreen display that works as a standalone Windows 8.1 tablet for all your entertainment needs. ASUS Transformer Book T100 is two computers in one, featuring a 10.1-inch ultraportable and a detachable HD display that can be used as a standalone Windows 8.1 tablet. With a sleek design and a durable finish, the Transformer Book T100 is not only one of the lightest ultraportables currently available at just 2.4lbs, but also one of the lightest 10-inch tablets around, at 1.2 lbs. The ASUS Transformer Book T100 delivers up to 11 hours use between battery charges1 thanks to the energy efficient Intel AtomT Bay Trail-T processor and exclusive ASUS Super Hybrid Engine II technology which extends battery life by intelligently managing power consumption. Transformer Book T100 features the new Intel Atom™ Bay Trail-T Z3740 quad-core processor for smooth multi-tasking performance and incredible energy efficiency that can last up to 11 hours1 on battery power. Windows 8.1 with an x86 processor gives full compatibility with new and legacy hardware and software. 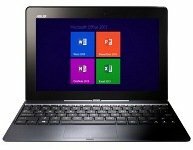 Preinstalled with Microsoft Office Home & Student 2013 with full versions of Word, Excel, PowerPoint and OneNote, the ASUS Transformer Book T100 offers perfect productivity solutions for both school and work straight from the box. The lightweight keyboard dock features precision-engineered keys designed for comfortable extended use, plus a multi-touch touchpad with full Windows 8.1 gesture support and a USB 3.0 which supports next-generation SuperSpeed data storage. ASUS TransformerBook T100 features a brilliant HD 10.1 inch IPS multi-touch display with 178-degree viewing angles for outstanding clarity. 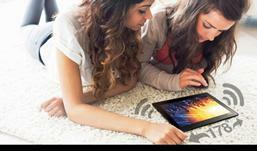 ASUS SonicMaster Technology lets you enjoy lifelike audio from built-in speakers. Dedicated Reading Mode reduces eye strain by automatically adjusting screen brightness, contrast and color for comfortable prolonged use. Need more storage capacity? 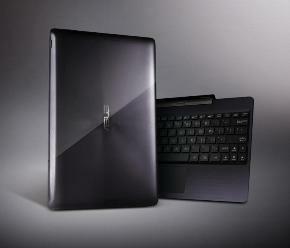 The ASUS Transformer Book T100 comes with free unlimited cloud storage space from ASUS WebStorage2 for one year. Now you can access large presentation files or countless music and movies to enjoy anywhere. Relax, ASUS Got You Covered! 2. Complimentary unlimited ASUS WebStorage space for 1 year upon registration. Subscription required after first year expires. 3. Complimentary 32GB/3GB ASUS WebStorage space available for 3 years on select ASUS models upon registration. 4. Program applies to select notebooks purchased within the USA and Canada only. Customers must register online within 60-days from purchase date to be eligible. One claim per notebook only. Exclusion apply. 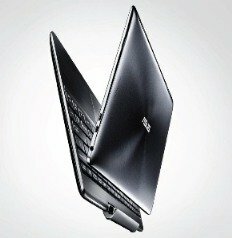 For details, please visit, notebookcare.asus.com.